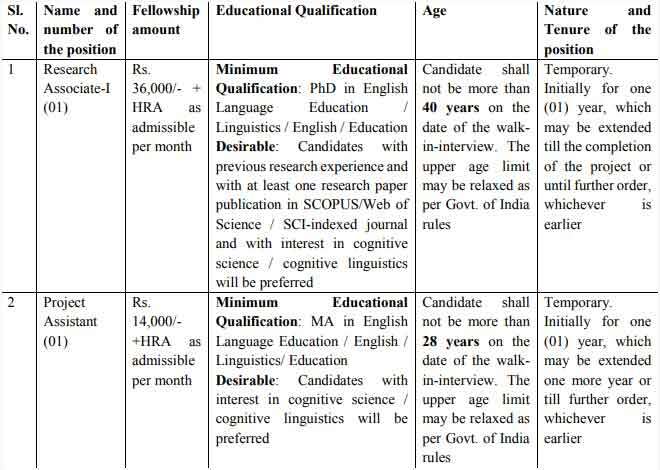 The incumbents will have to work full time, first, for English as a Second Language survey in the major Engineering institutes of Assam, and second, in an English language teaching experimentation at Tezpur University. (1) No TA/DA will be paid to the candidates for attending the interview. (2) Those in employment or doing Ph.D. must submit ‘No Objection Certificate’ from the concerned employer / Ph.D. Supervisor.